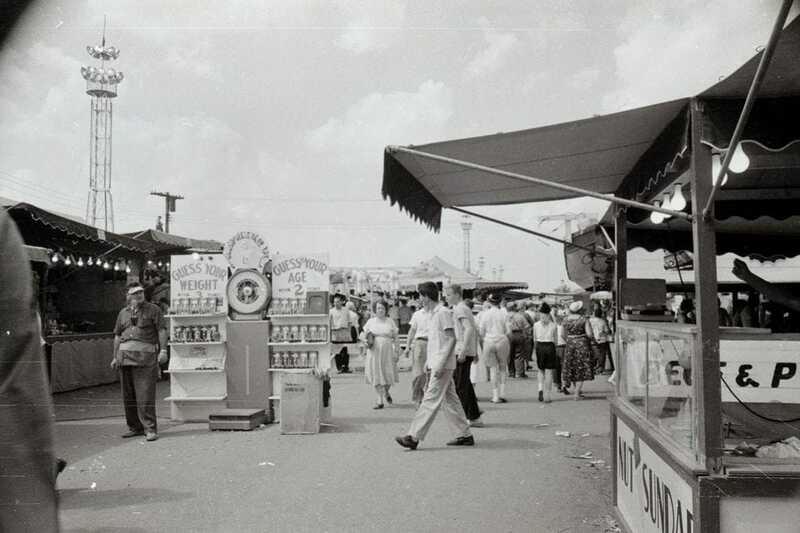 The Great New York State Fair is the oldest in the United States, having first started in 1841 in Syracuse. 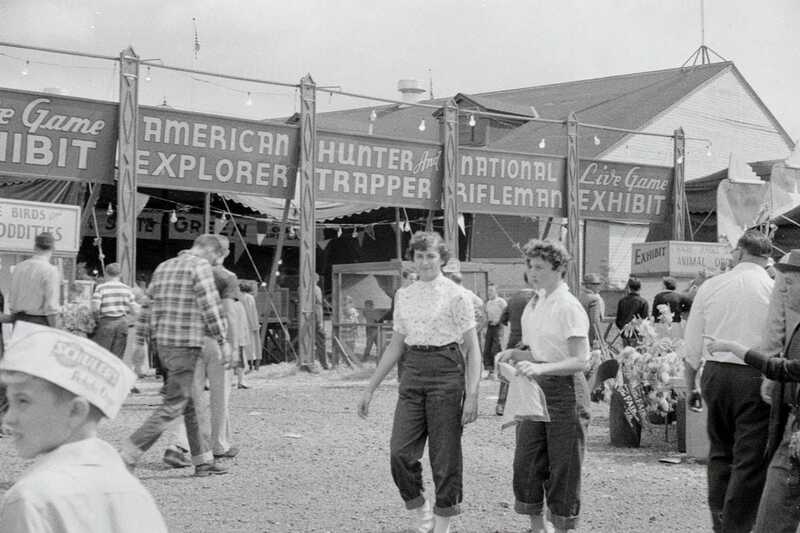 All these years later, it's still held in Syracuse and has become one of the largest state fairs in the country. 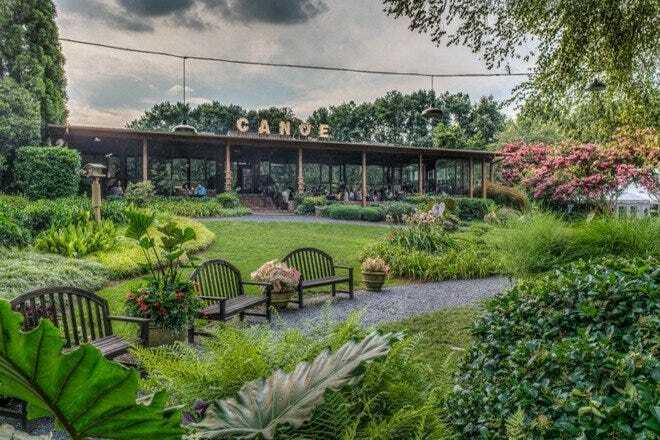 Step back in time and check out how this amazing fair has grown. 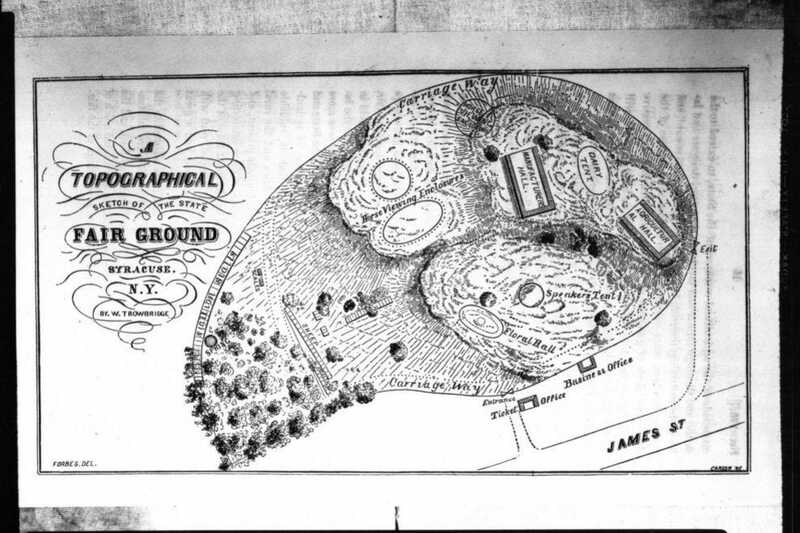 Here's what the state fairgrounds looked like in 1849. 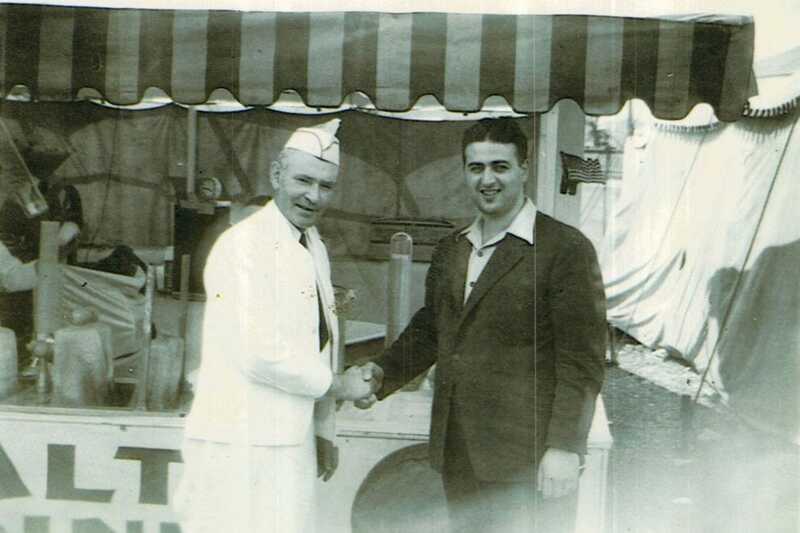 Sol Castle & Isadore Maloff shake hands for a snapshot. 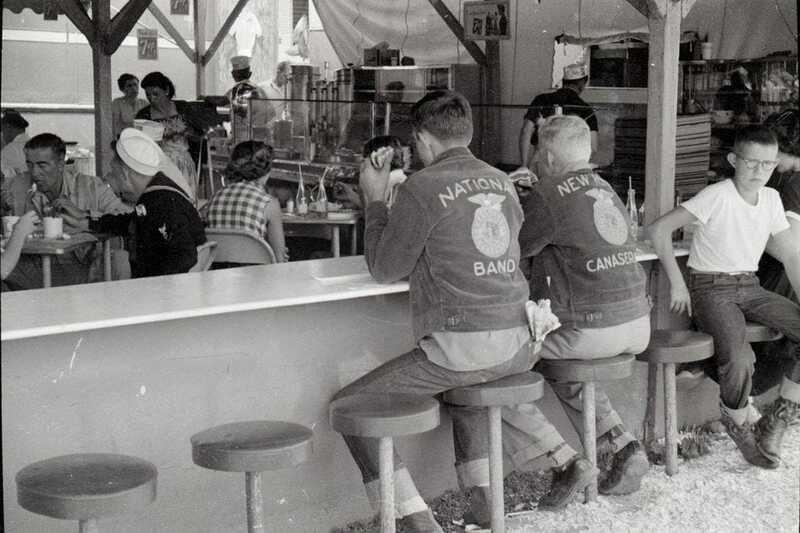 Fairgoers enjoy a tasty lunch on the grounds. 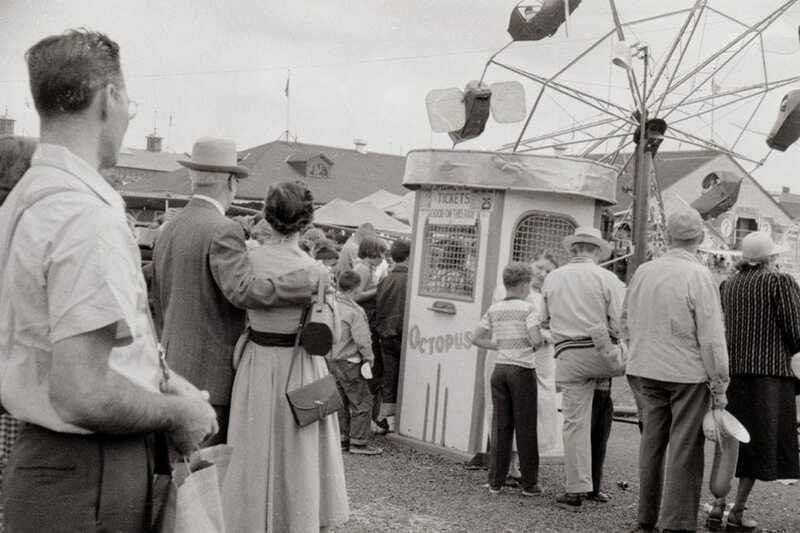 You could enjoy a ride on the Octopus for just 25 cents in 1954. 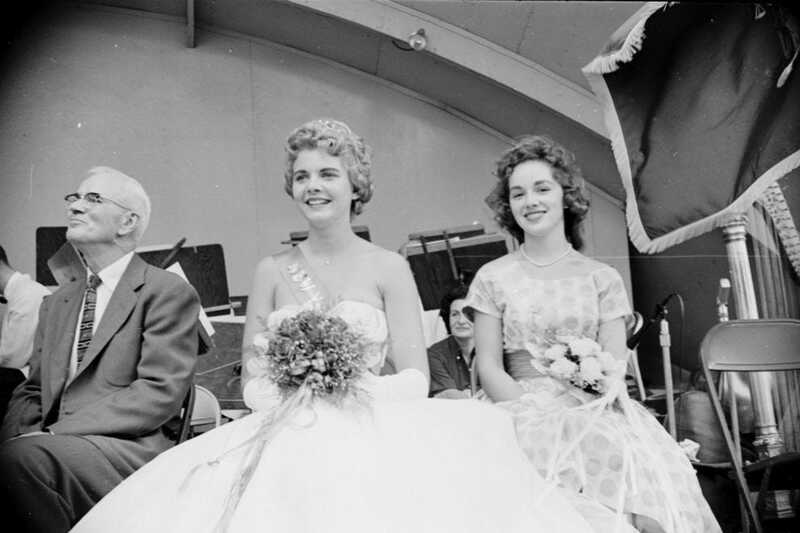 The Great New York State Fair began as a gathering for the New York State Agricultural Society. 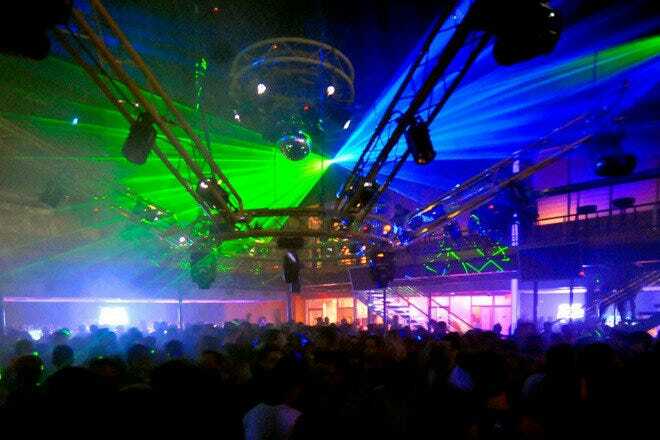 Naturally, that includes animal exhibits like the one seen here. 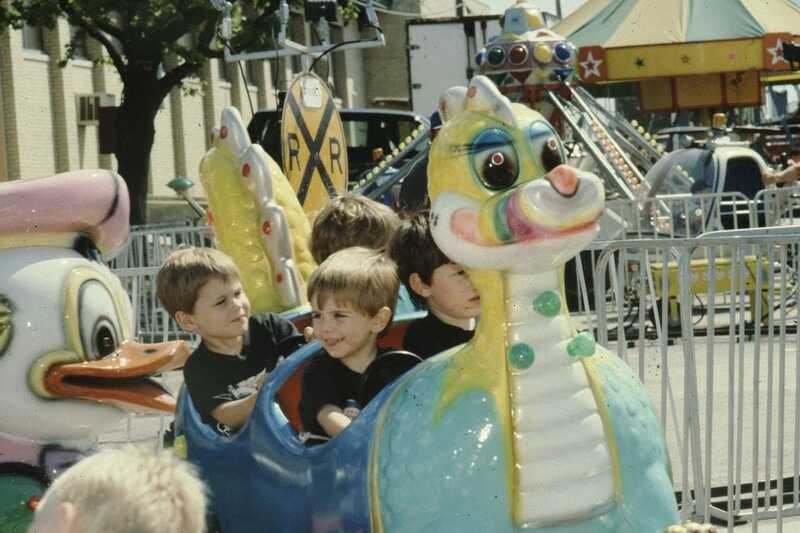 Little ones enjoy a train ride. 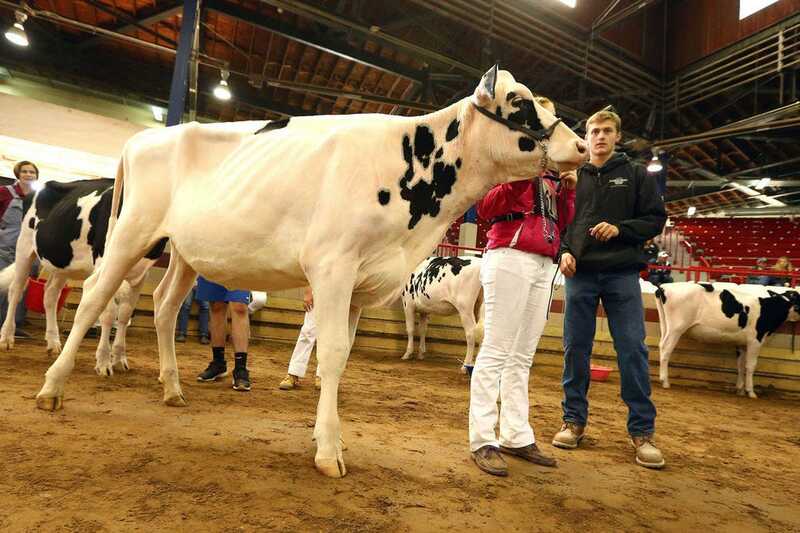 The fair would also include a live game exhibit, in addition to animals like cows and chickens. 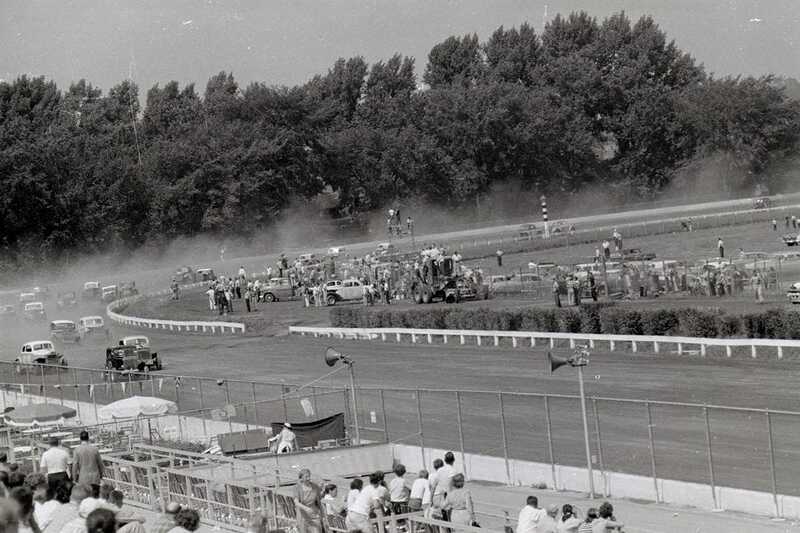 You'd also be able to enjoy all manner of car racing and stunt driving from the grandstand seats. 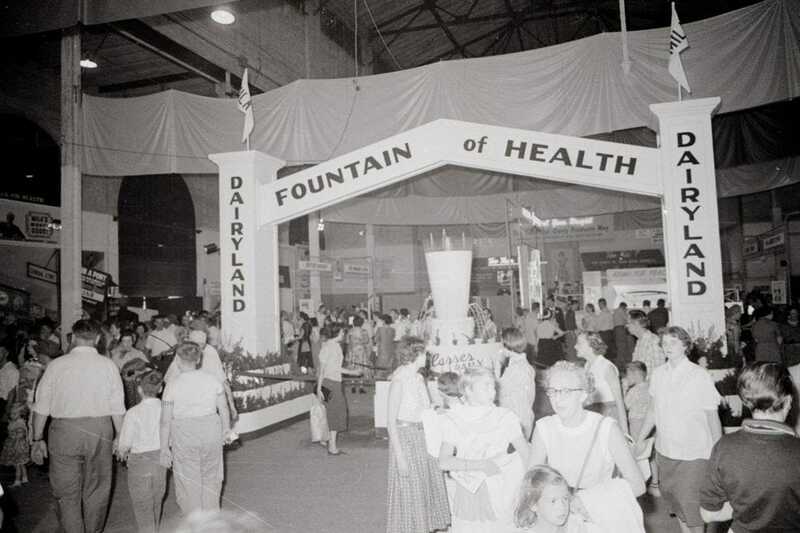 A view of the Dairyland exhibit from 1955. 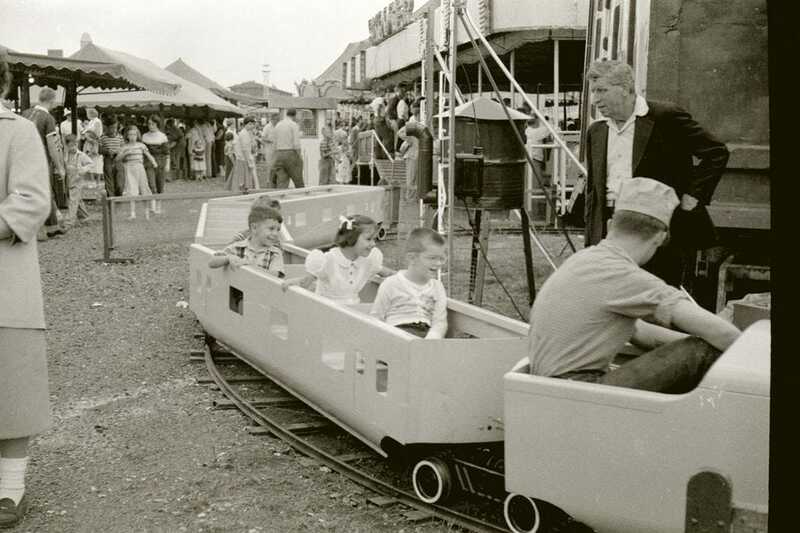 Children enjoy a day at the fair in 1956. 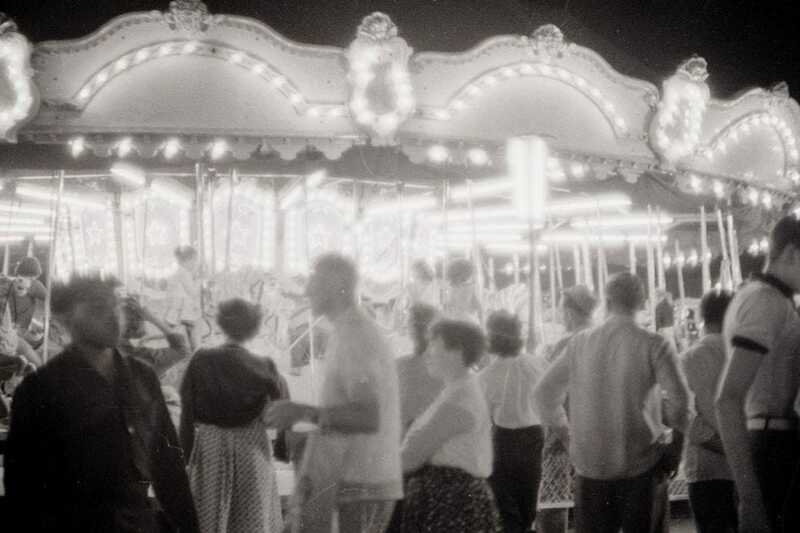 The lights of the carousel shine on fairgoers. 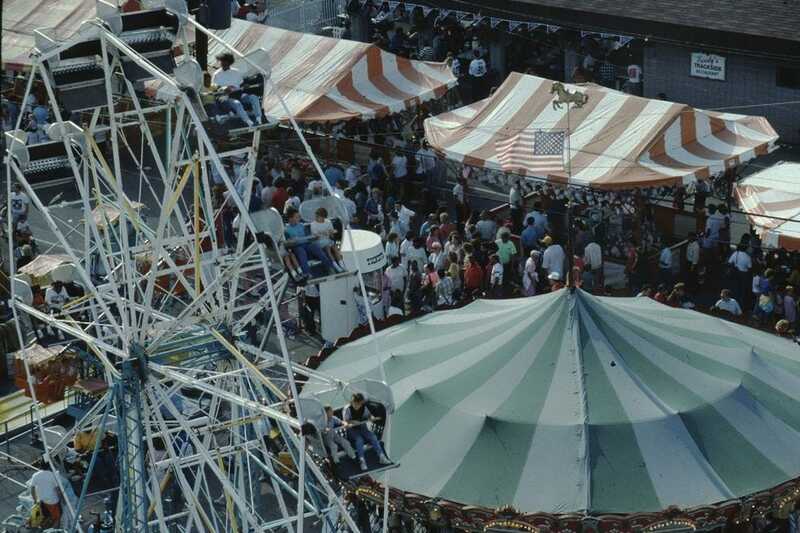 A view of the midway, complete with a "Fool the Guesser" stand. 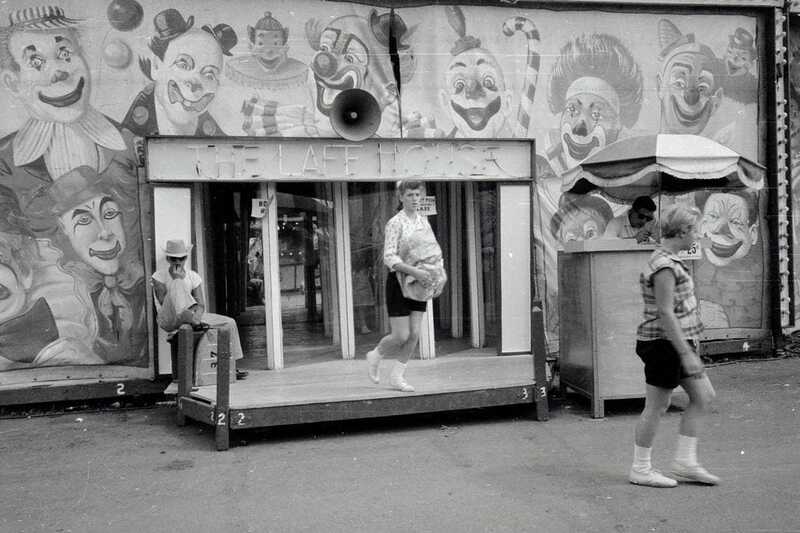 25 cents would gain you admission to the Laff House. 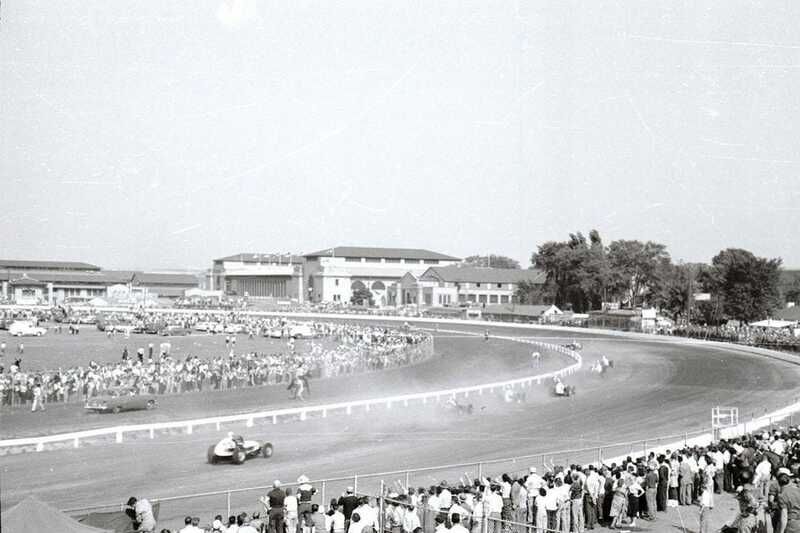 Car racing could be enjoyed at the fair back in 1957. 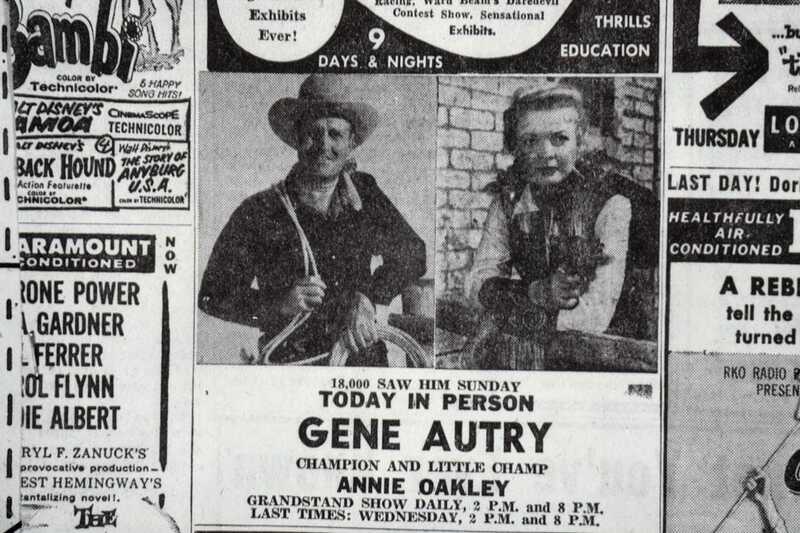 Both Gene Autry and Annie Oakley made appearances. 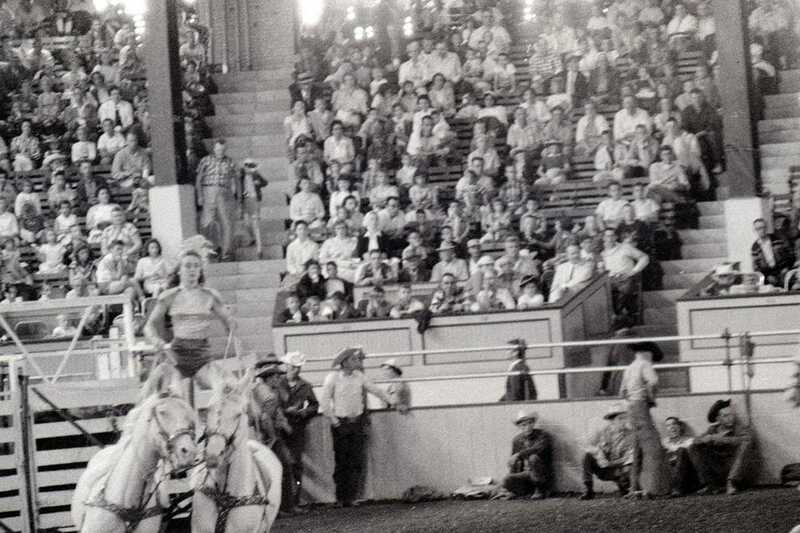 The rodeo also made a splash. 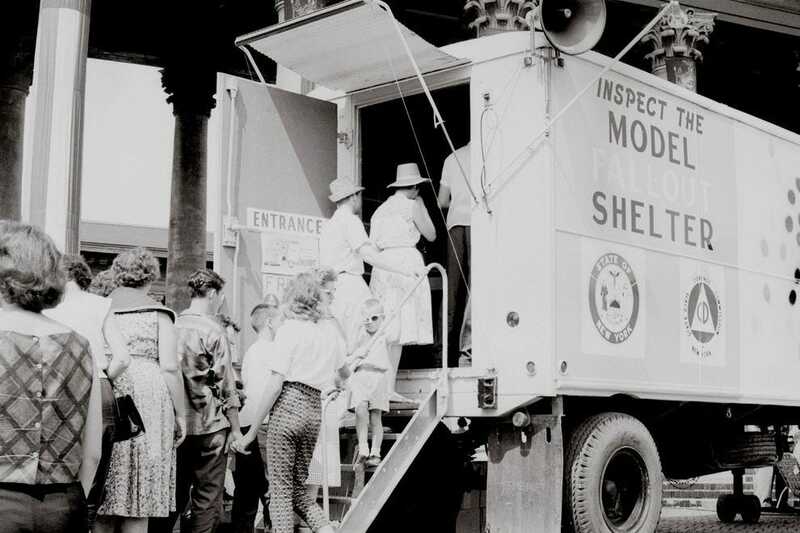 Model fallout shelters were on display during the days of the Cold War. 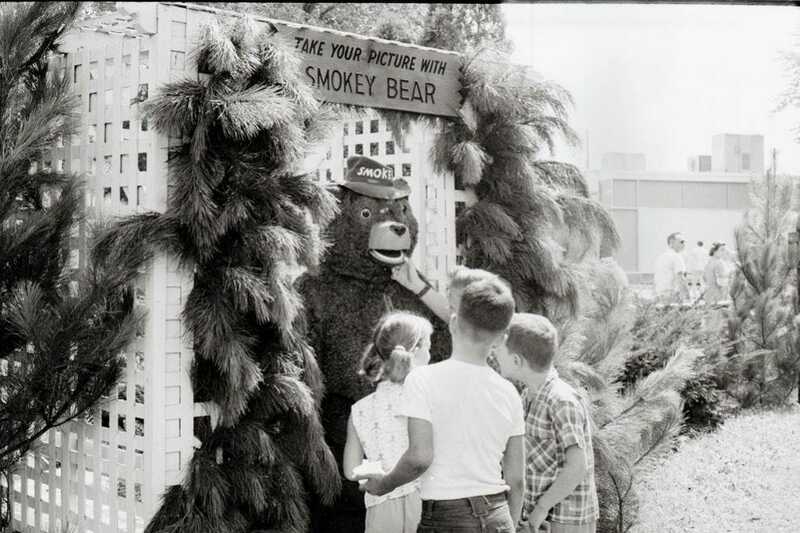 Smokey Bear was on hand to remind fair guests about fire safety. A wild ride on the Round Up. 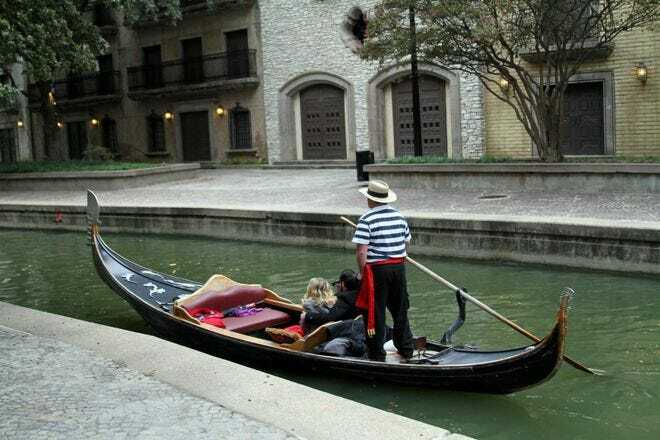 Baton twirling was all the rage. 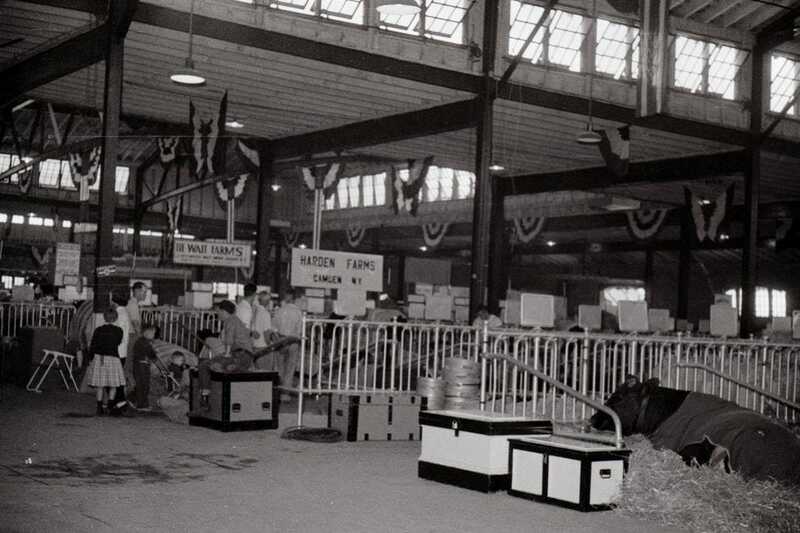 A view of the some of the 1959 fair court. 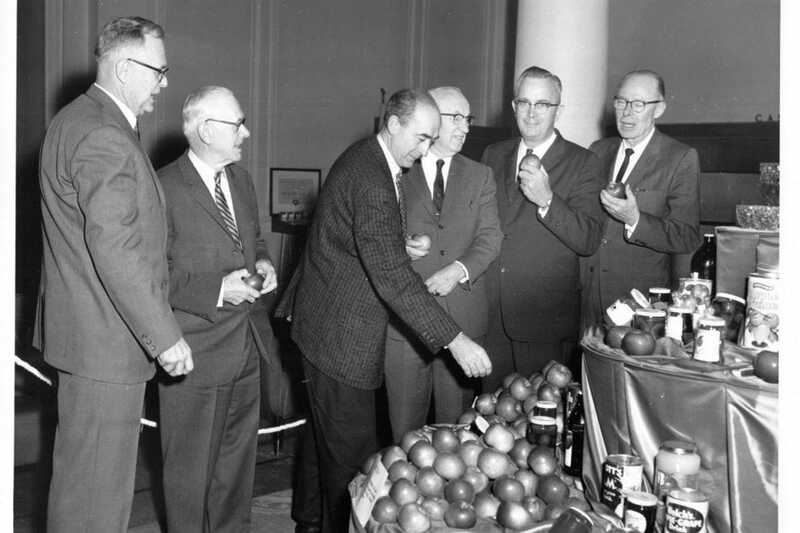 A tasting of famous New York apples takes place. 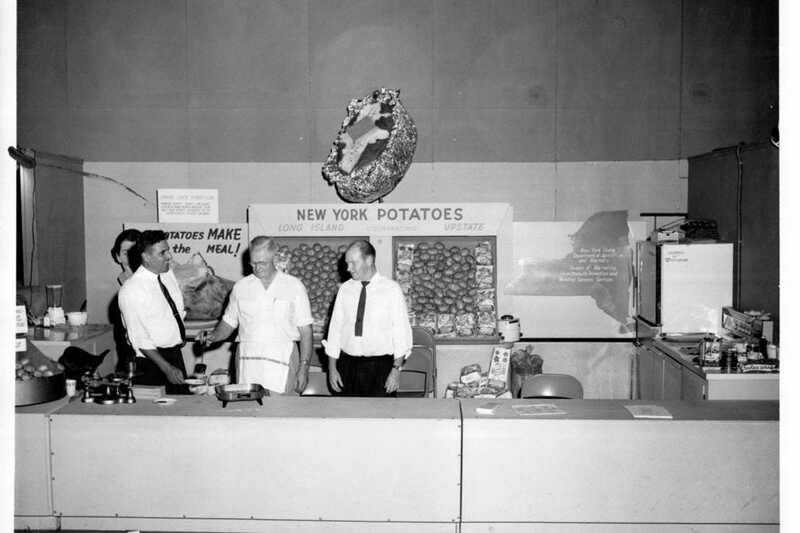 Fairgoers could enjoy a sample at the potato booth. 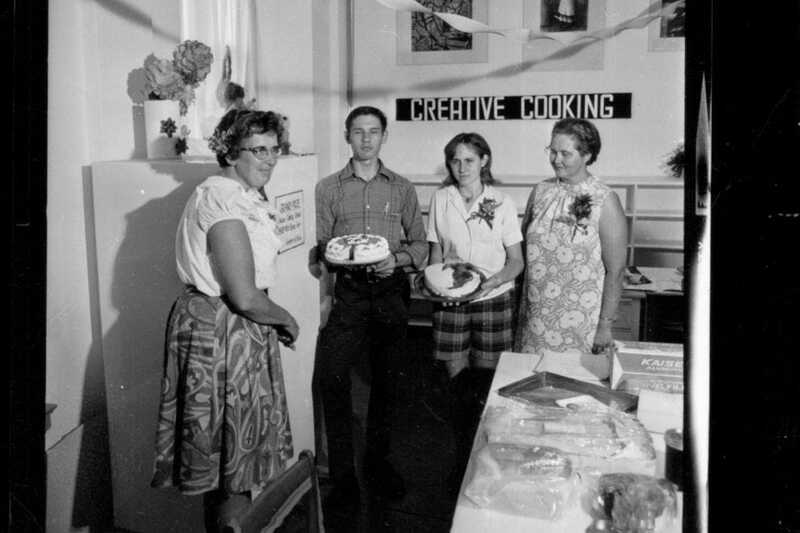 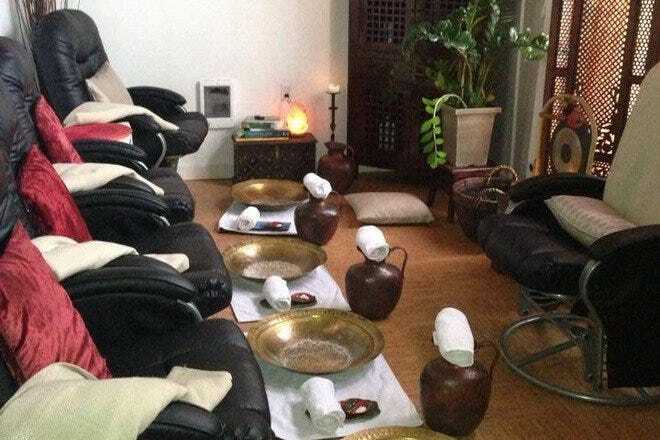 "Creative Cooking" takes place in the baking competitions. 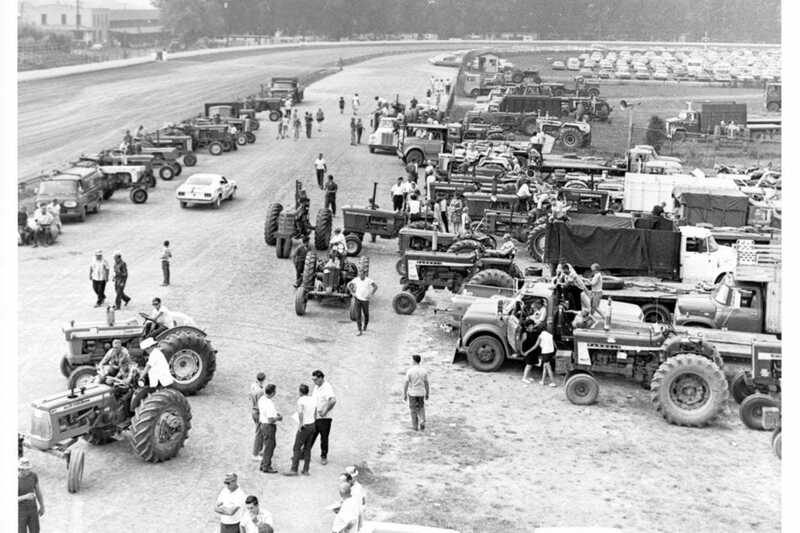 The tractor pull was a popular attraction. 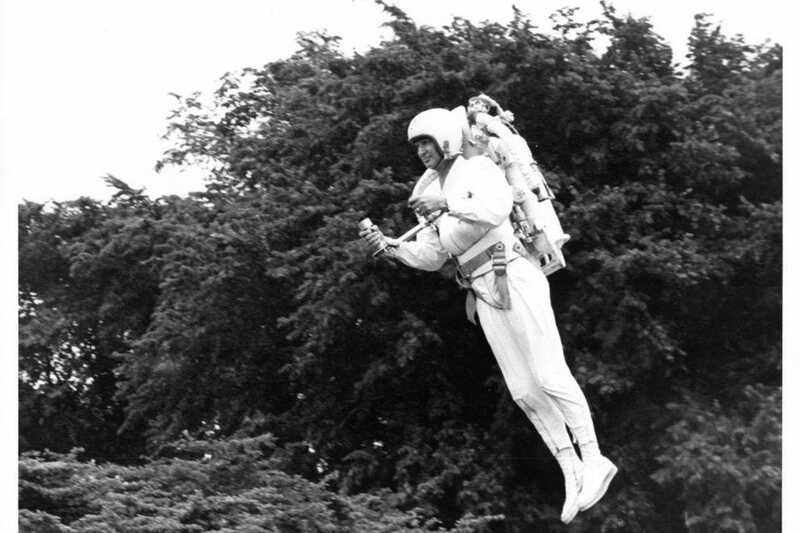 If you were at the fair in 1969, you could've been amazed by this jetpack demonstration. 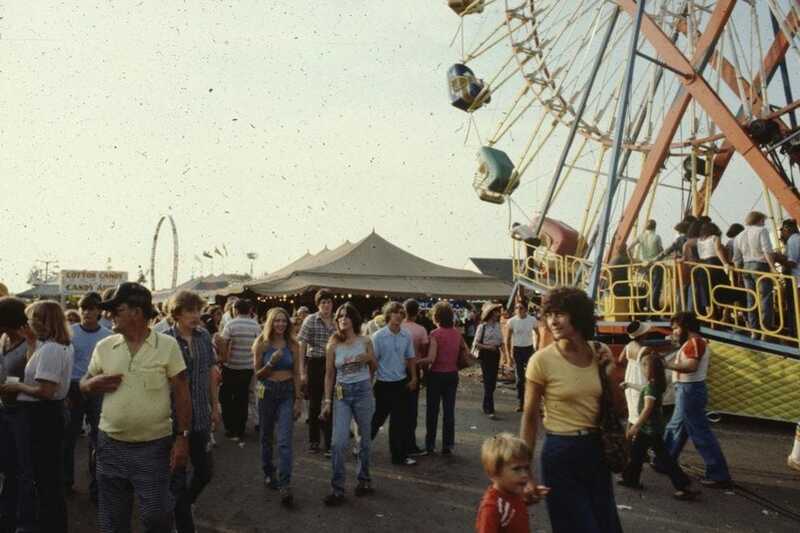 Jumping forward over a decade to 1980, the fair appears to have grown in popularity. 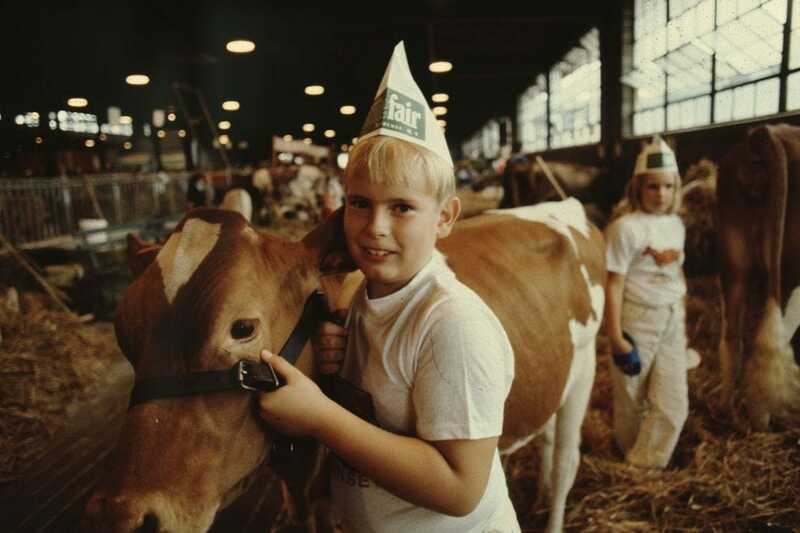 Though the fair has changed over time, animals are still very much a part of the exhibitions in 1981. 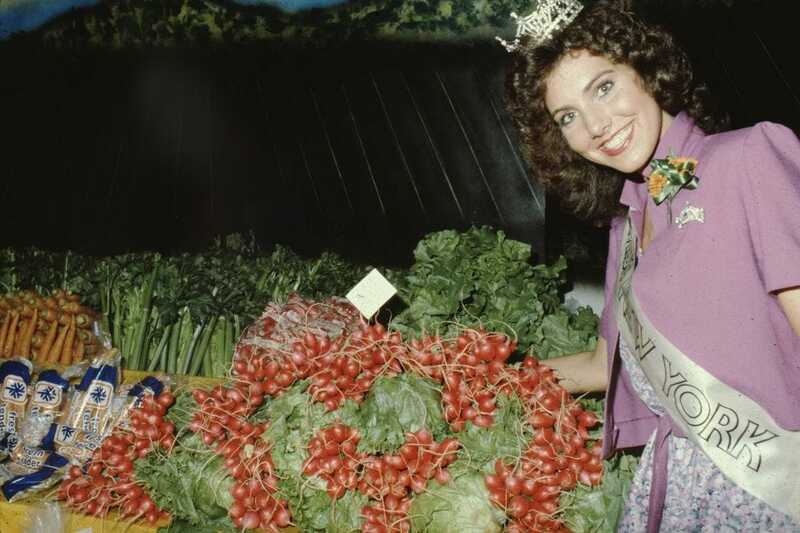 An agriculture princess shows off some of the best that New York has to offer. 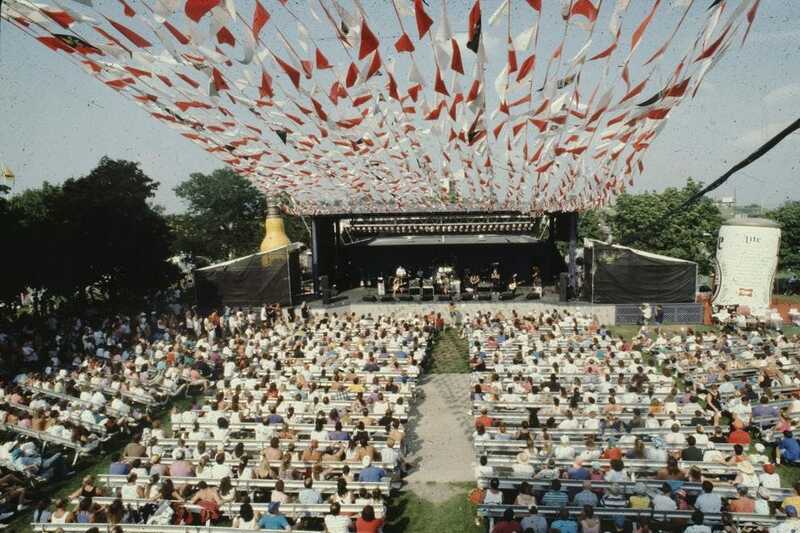 Grandstand concerts now take place on a dedicated concert stage by 1983. 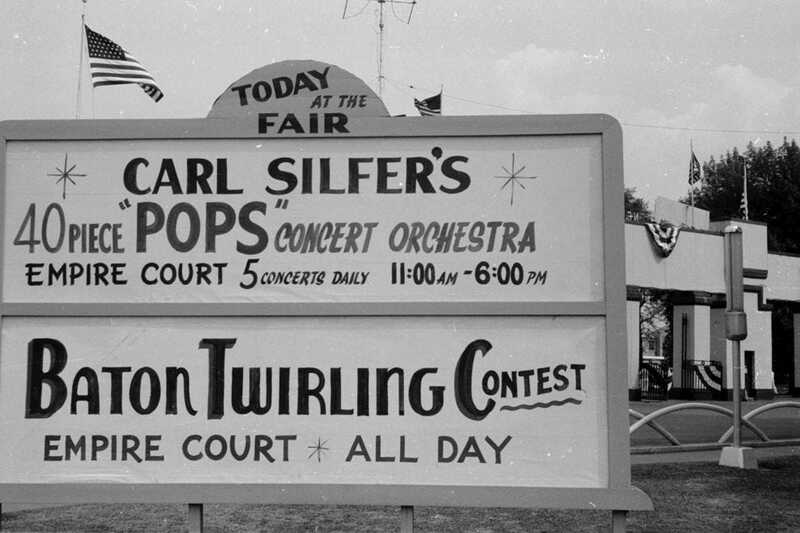 The Great New York State Fair is known for its stellar concert lineups. 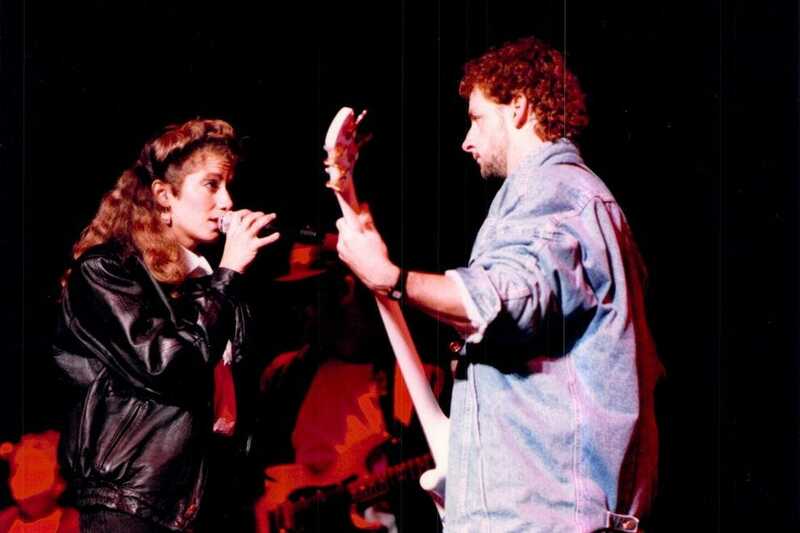 Amy Grant performed back in 1986. 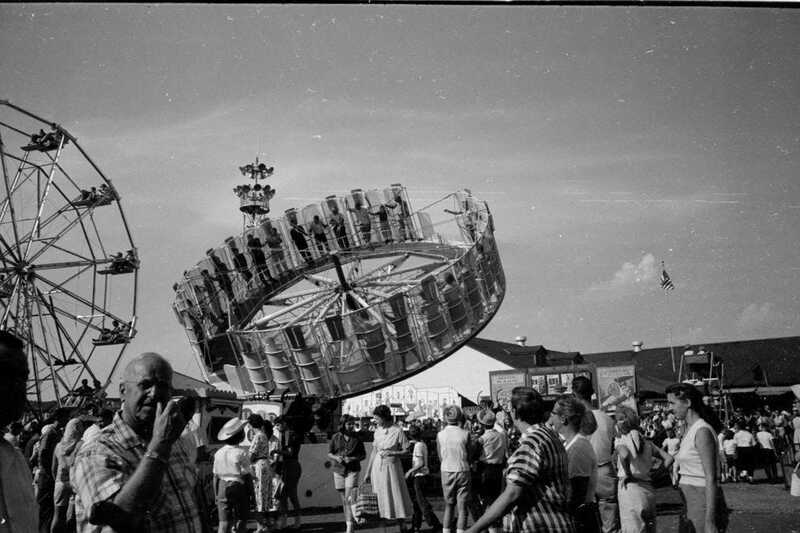 Children's rides look a bit different in 1987 than they did during the 1950s but are enjoyed just the same. 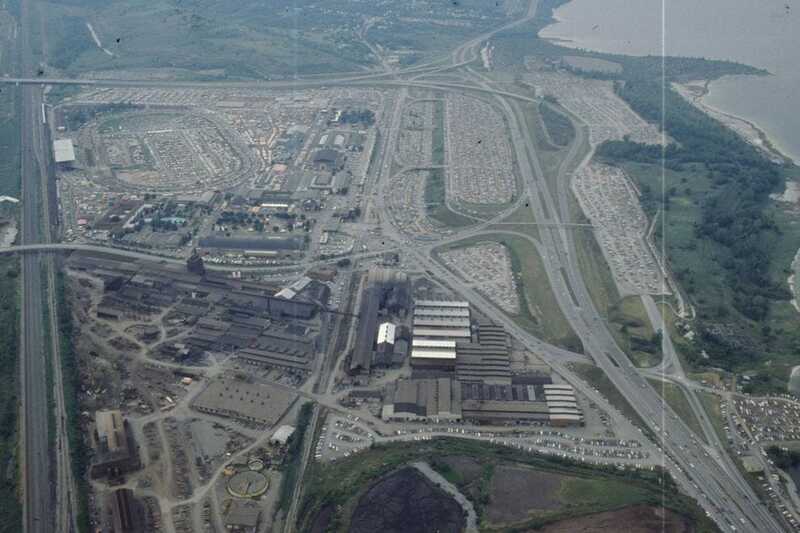 An aerial view of the 1987 state fair shows just how large the event has become. 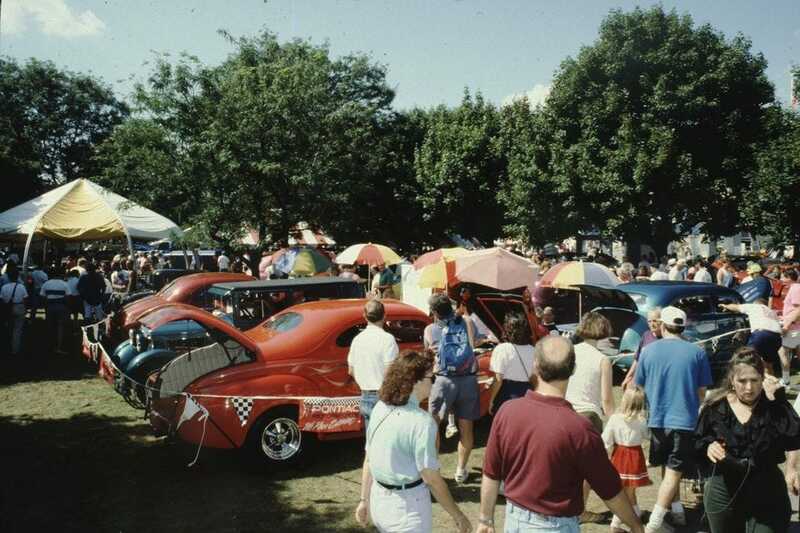 An antique car show impresses fair attendees. 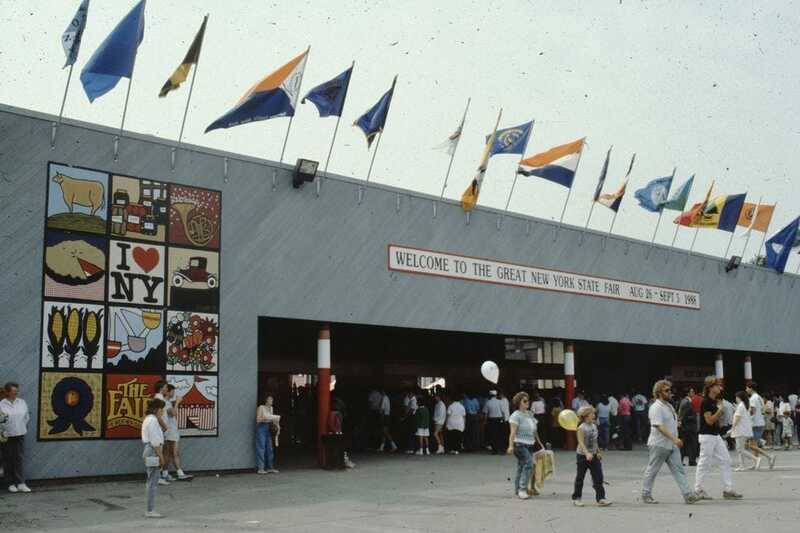 Entrance to the 1988 Great New York State Fair. 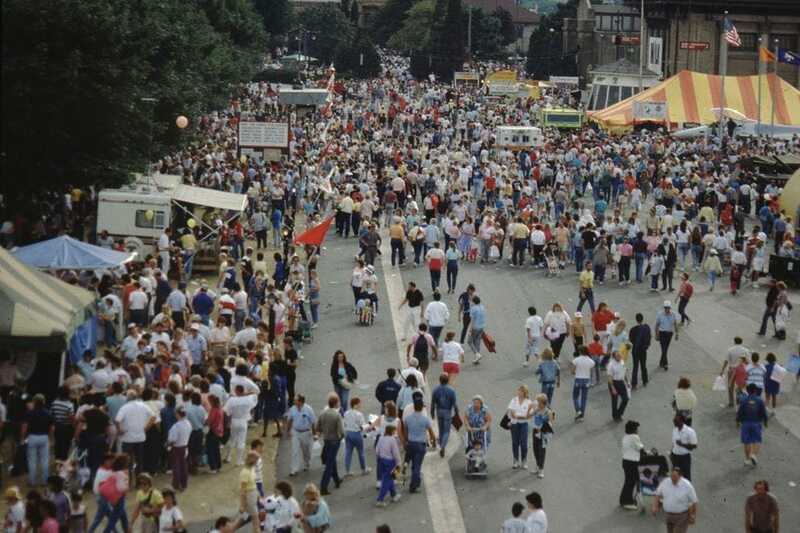 Crowds of people enjoy the annual fair. 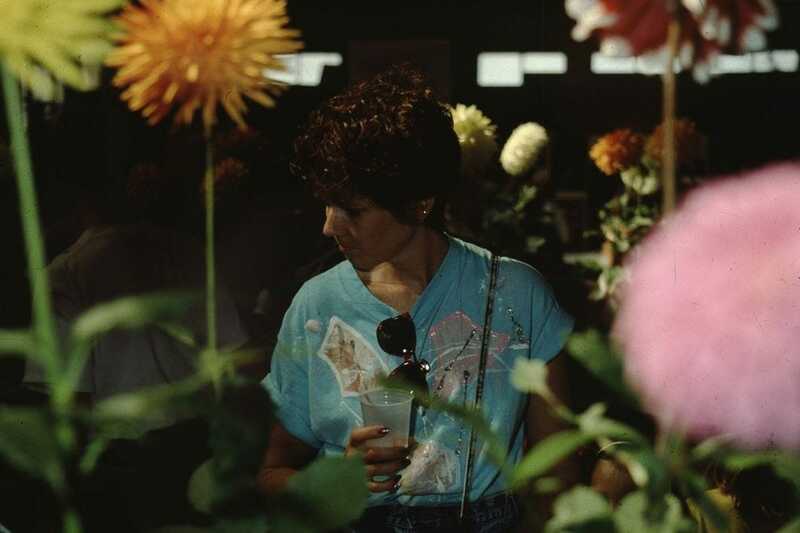 A woman admires the floral beauty of the horticultural show. 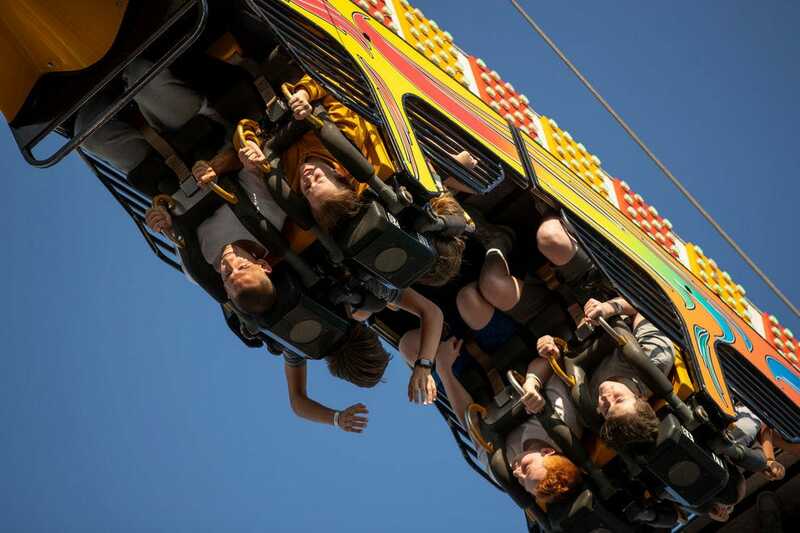 Roller coasters are included in the vast assortment of fair rides. Enjoying the view over the carousel. 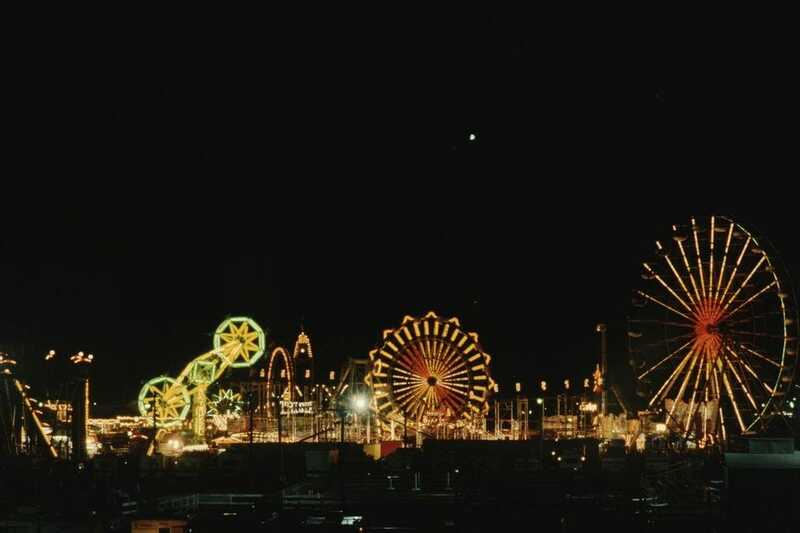 A beautiful nighttime look at the 1989 state fair. 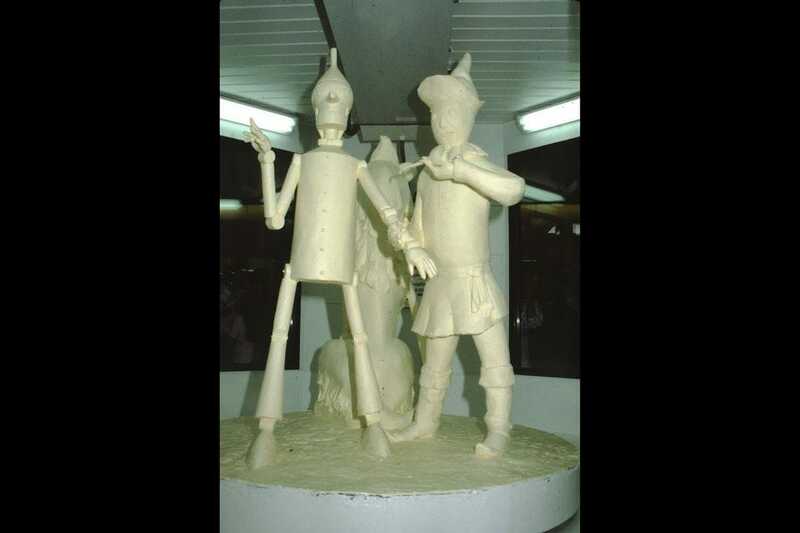 A Wizard of Oz-themed sculpture made completely of butter impresses. 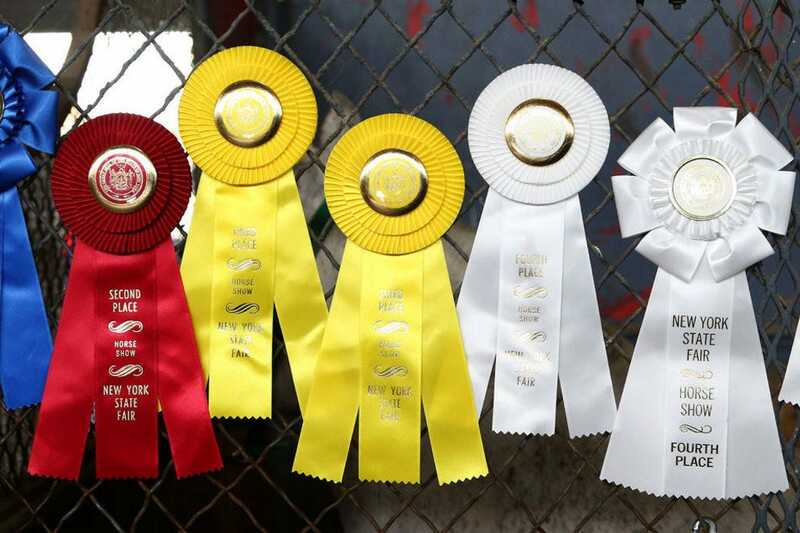 Nearly 30 years later, the Great New York State Fair is staying true to its roots with animal exhibits and competitions still taking place. 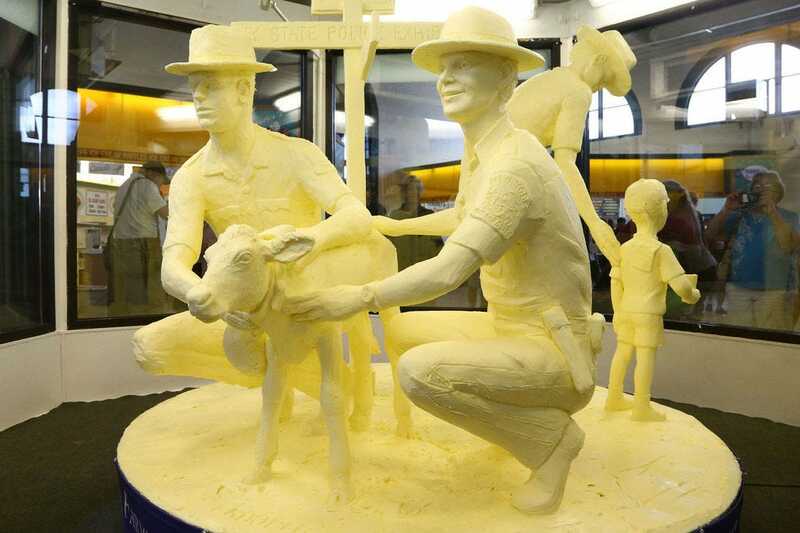 Butter sculptures make an appearance every year. 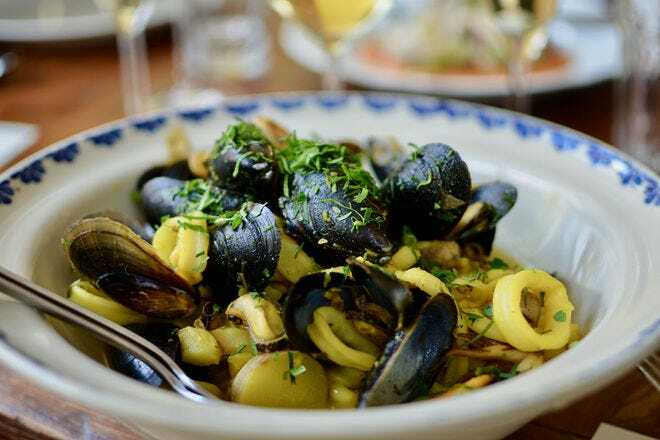 2017's "Dairy Farmers' Tribute to New York State Troopers" commemorated the NYSP's 100-year anniversary. 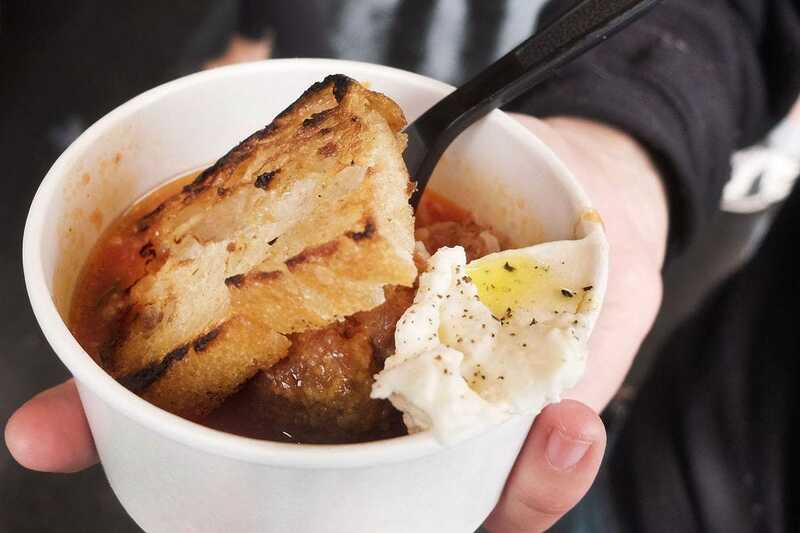 State fair food has become one of the biggest draws over the years with both traditional and wackier concoctions making the rounds. 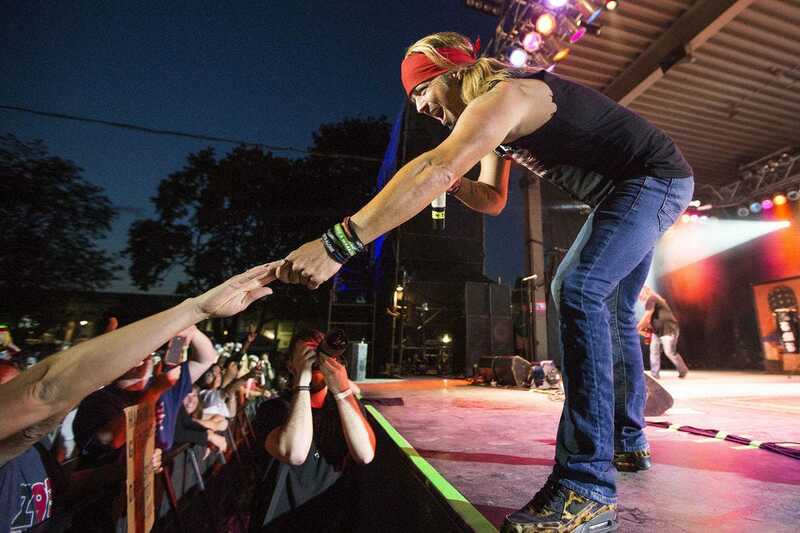 Bret Michaels was one of many performers in the 2017 concert series. 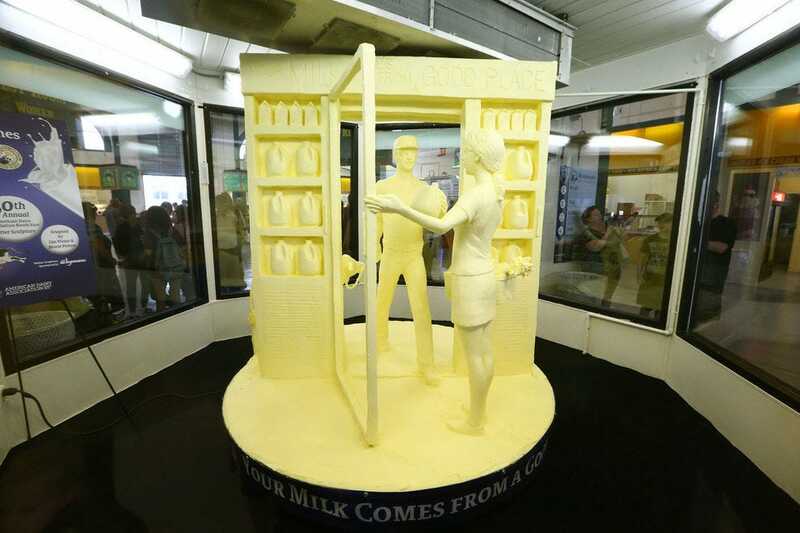 The 2018 fair kicked off on August 22nd, leading with an awe-inspiring butter sculpture. 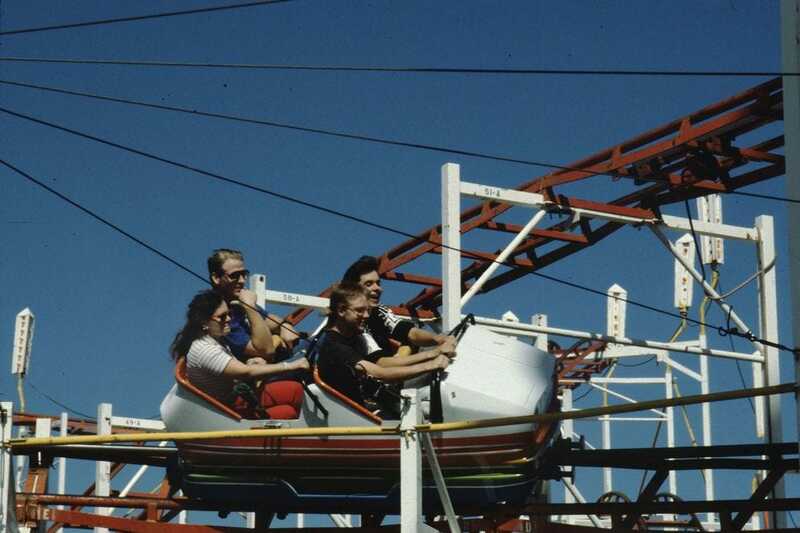 Fair rides push the limits on the midway. 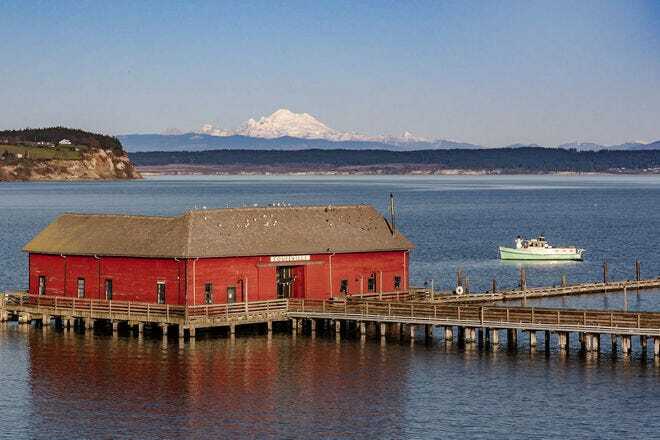 Speaking of pushing boundaries, one of the crazier food options available at the 2018 fair is popcorn frozen with liquid nitrogen. 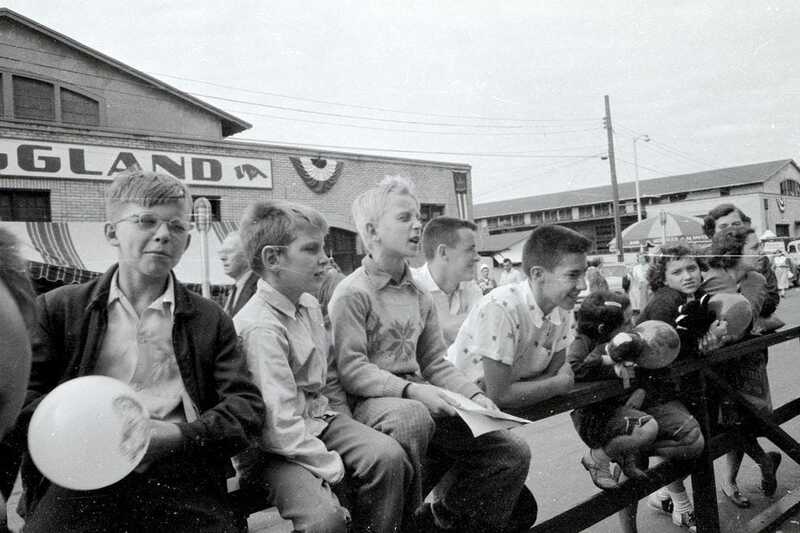 In keeping with their amazing concert lineups, the Great New York State Fair had Blondie perform on opening day.